﻿ Probus South Pacific - What is Probus? Probus is all about Friendship, Fellowship and Fun in retirement. Probus provides you with the opportunity to join together in clubs and to progress healthy minds and active bodies through social interaction and activities with retirees in your community. Probus opens the door to new experiences and friendships, you can hear wonderful guest speakers, stay active by participating in a wide range of activities and explore your community, your country or the world. Probus offers a range of member benefits and to quote a recent Probus Club member “the day I joined my Probus Club, I instantly had 100 new friends” – That is Probus, Friendship, Fellowship and Fun. Join 130,000 retirees across Australia and New Zealand today and discover the wonderful world of Probus, look for your local club Here. Plus, there's a dedicated Probus Support Team at your service at Probus South Pacific office. Listen to the Australian jingle and share it with your friends! Listen here. Listen to the New Zealand jingle and share it with your friends! Listen here. New Zealand - Watch here. Probus already has 130,000 members. Why not join them? 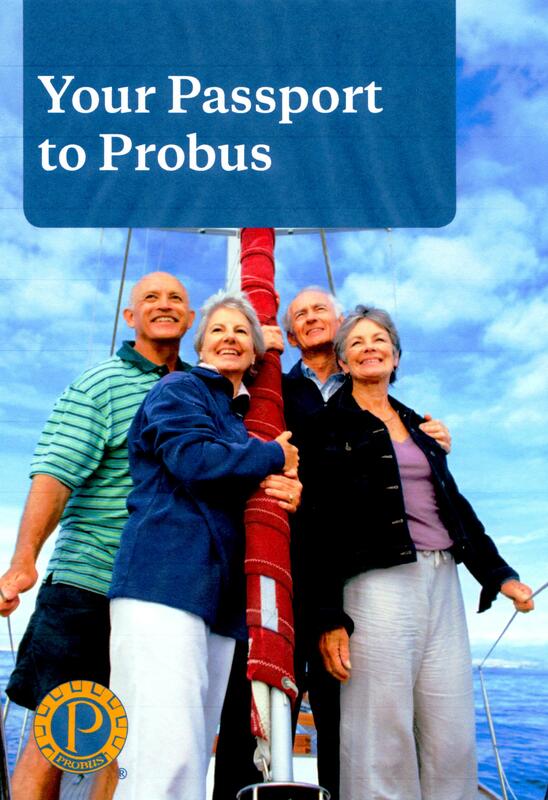 Find out more about joining Probus.